“Mr. 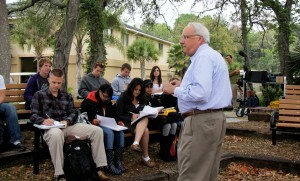 Marine Science of Northeast Florida,” JU Marine Science Research Institute Executive Director Dr. Quinton White, will deliver keynote remarks to nearly 400 graduating students as JU celebrates its Fall Commencement this Saturday, Dec. 17, under the oak canopy of its Science Green. 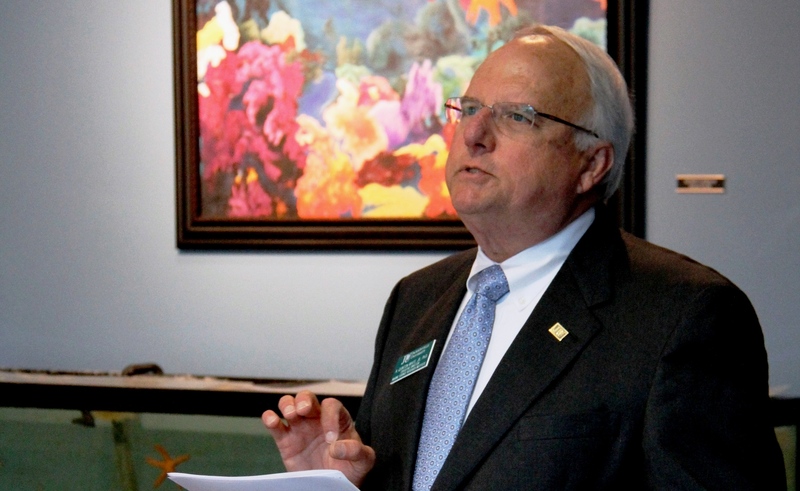 After welcoming some of the most renowned figures worldwide in civic life, business and the arts to speak at recent Commencements and events, the University decided to honor one of its own in the STEM field, and the choice was obvious in Dr. White, said JU President Tim Cost. The University has a proud tradition over its 82-year history of bringing important individuals to speak on campus, including President Lyndon Johnson, President Gerald Ford, anthropologist Margaret Mead, Chemistry Nobel Prize Winner Linus Pauling, Federal Reserve Chairman Ben Bernanke, Massachusetts Governor and 2012 Republican Presidential nominee Mitt Romney, Pepsico CEO Indra Nooyi, documentary filmmaker Ken Burns, and many more in the fields of business, science, the arts and civic and cultural life. Those planning to attend the ceremony should arrive early for a good seat. Live-streaming video of the event will be available at http://www.ju.edu/commencement. Look for live updates on Twitter at @JacksonvilleU, and use the hashtag #JUgrad for social media posts. Graduates will assemble in Swisher Theater at 9:30 a.m., line up at 10 a.m. and process to the iconic Dolphin Sculptures behind the Howard Administration Building, where they will meet the Platform party just before the ceremony’s 10:30 a.m. start. The groups will all then be led in to the ceremony by a traditional bagpiper. A Faculty Corner immediately following the celebration will be held in the shaded area near the Commencement Platform, where students can meet up for photos with their favorite professors. The Senior Stroll is set for 3:30 p.m. Friday, Dec. 16, at Dolphin Plaza behind the Howard Building. All graduates are warmly welcomed for a group photo, champagne toast and festive march through campus to the Graduate Reception at 4 p.m. at the River House – sponsored by the JU Alumni Association. Light hors d’ oeuvres and refreshments will be served, with faculty and administration in attendance. Attire is business casual. Caps and cords are encouraged. 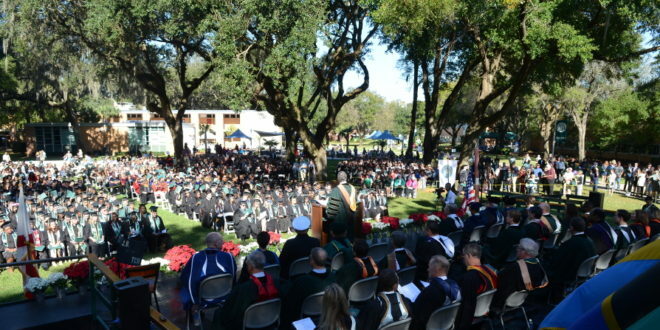 For more information on Fall 2016 Commencement, visit http://www.ju.edu/commencement. 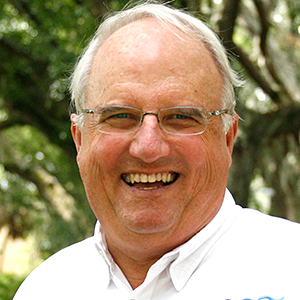 A. Quinton White Jr., Ph.D., is Executive Director of the Marine Science Research Institute and Professor of Biology and Marine Science at Jacksonville University. 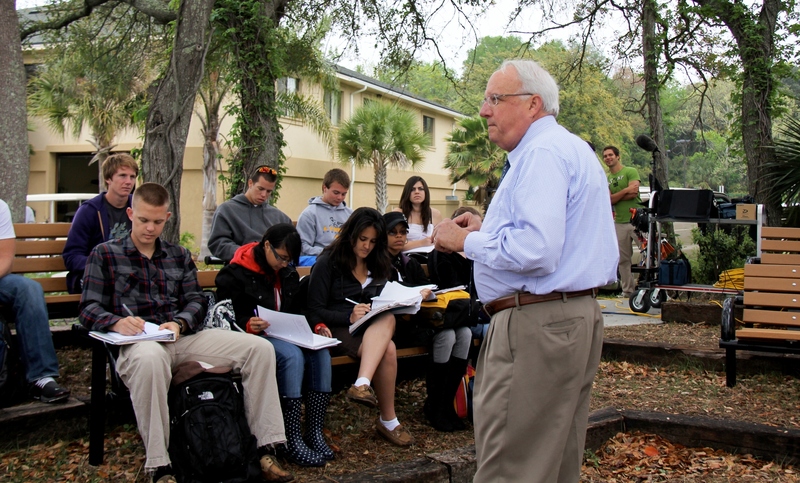 Dr. White joined the faculty at Jacksonville University in 1976, after earning his doctorate at the University of South Carolina at the Baruch Institute for Marine Biology and Coastal Research. He has written numerous research and technical papers or reports, and attracted hundreds of thousands of dollars in grants and contracts to support marine research at JU. He was a key drafter of the City of Jacksonville’s Manatee Protection Plan, and is a passionate advocate for these vulnerable marine mammals. Currently he is conducting research on the history of human impact on the Florida environment and especially on the St. Johns River, with a focus on manatees and water quality issues. Dr. White he is a lifelong teacher and researcher, river and water quality champion, marine biologist, media commentator and thought leader, and environmentalist. Over his more than four-decade-long career, he has become known as “Mr. Marine Science of Northeast Florida,” and serves as an expert resource to civic groups, government agencies, elementary school children and college students. Active in the Jacksonville community, he writes a monthly column in The Florida Times-Union called “River Life.” He is President-elect of the Southern Association of Marine Labs, Board Chair of the Southeastern Coastal Ocean Observing Regional Association and Past-President of Jacksonville Community Council Inc.
Dr. White is personally responsible for the crown jewel on the Jacksonville University riverfront: the 32,000-square-foot, LEED Gold-certified Marine Science Research Institute, which opened in 2010 and is a project he founded, and for which he tirelessly helped raise $10 million to establish. Recent awards have included the Florida Wildlife Federation Marine Conservationist of the Year in 2015, the Regional Leadership Award from the Northeast Florida Regional Council and the City of Jacksonville’s Christi P. Veleta Environmental Award in 2014. He was honored by Leadership Jacksonville in 2011 as a Community Trustee, received the City of Jacksonville Mayor’s Environmental Achievement Award in 2010, and was recognized as a Veteran of Influence this year by the Jacksonville Business Journal. Dr. White served in the U.S. Army prior to starting graduate school at the University of Virginia, where he earned a Master of Science in 1972.He is married to Dr. Susan Hite White, a pediatrician, and they have three children.